Here's Errorage's video tutorial (thanks Errorage!) on how to convert your beautiful PNG file into a DMI, you can watch this or follow the guide below, they are essentially the same. You then want to copy the .dmi and make it a .png. Dmi and png files here. 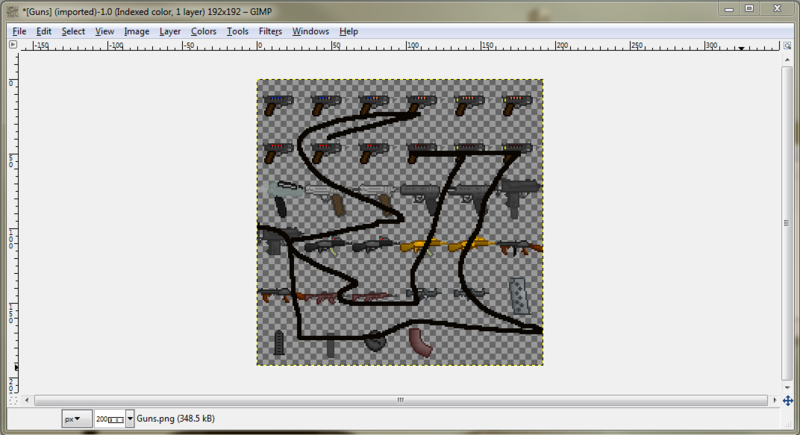 Open the .png file in a photo editing software like GImp or Paint.NET. Save/Export the file. Along with opening TweakPNG. Rename the .png to something new and make it a .dmi. You can then drag your .dmi file into TweakPNG. Copy the chunk named "zTXt". Drag on the new .dmi and copy the "zTXt" chunk over and make sure it's anywhere under the "tRNS" chunk. Oh god what is going on. Open your new .dmi to make sure it worked. Mob sprites for the most part require four directions. Mob sprites require dead sprites. If you choose to you can make a laying sprite. If making a mob that can wear clothing you can use pixel_y, Pixel_x to shift clothing on when coding the mob. Humans and human species are composed of limbs - a head, a chest, two arms and two legs. The files are in icons/mob/human_parts.dmi for limbs that have a set color, and on icons/mob/human_parts_greyscale.dmi for limbs that can be recolored and begin greyscaled. Limbs have 4 dirs, like full icons. Limbs are also used as item icons in case of dismemberment. [race]_l/r_arm/leg for arms and legs. Floors are in icons/turf/floors.dmi - Check the file for examples. Walls are in icons/turf/walls.dmi - Check the file for examples. Shuttle walls and floors are in icons/turf/shuttle.dmi - Check the file for examples. Space tiles are in icons/turf/space.dmi - Check the file for examples. 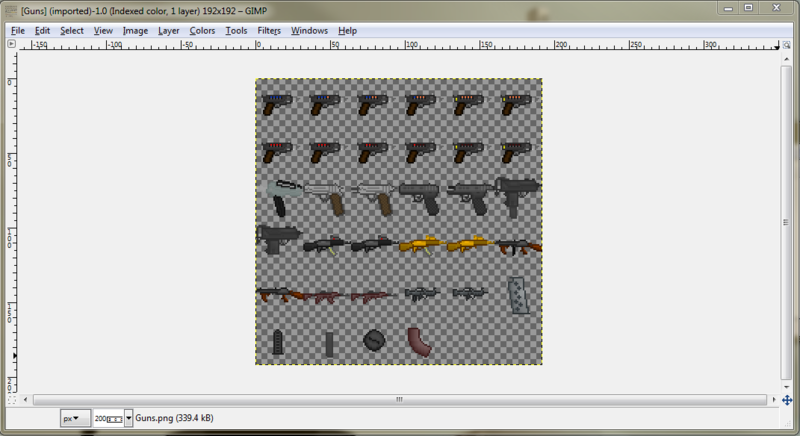 Objects sprites are located in the icons/obj folder. Items sprites are spread throughout said folder. Item sprites for the most part require in-hand sprites. They can be located in the icons/mob/items_lefthand.dmi and icons/mob/items_righthand.dmi section. Clothing sprites are located in the icons/obj/clothing folder. Clothing sprites on mobs can be found in the icons/mob folder. Clothing sprites for the most part require in-hand sprites. They can be located in the icons/mob/items_lefthand.dmi and icons/mob/items_righthand.dmi section. Machinery sprites are located icons/obj/machines folder. Although a good amount of them are located in the icons/obj folder. Door sprites are located under icons/obj/door folder. Normal door sprite require door_closed, door_locked, door_opening, door_deny, door_closing, door_open, door_spark, o_door_opening, o_door_closing, panel_open, welded, and elights. I suggest looking over a door dmi. Blast doors only require opening and closing sprites and sprites for when it is open and closed. This page was last edited on 11 March 2017, at 13:20.